IN a promotional clip for a controversial television interview, in which Barnaby Joyce and Vikki Campion were paid $150,000, the couple has revealed they were pressured to abort their baby. 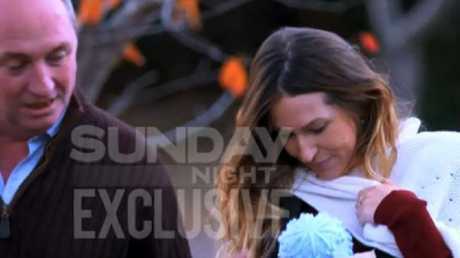 The newly released clip for Channel Seven's Sunday Night program reveals there "were people who tried to stop the baby being born". It then cuts to Ms Campion who says: "They said if you don't, they're going to come after you …[and] … they did". "I would do anything to protect him," she continues in reference to the couple's son. "Everything was worth it for this." In the clip, a tearful Ms Campion says: "You can't you help who you fall in love with." Mr Joyce can then be seen and heard saying: "I failed, I failed, I failed, I failed, I failed." The former deputy prime minister and his one-time adviser are expected to receive $150,000 for the tell-all interview. But Mr Joyce has denied he will benefit from it, telling reporters the money was going into a trust for the pair's son, Sebastian. Earlier, Mr Joyce blamed Ms Campion for accepting payment for the Channel Seven interview, arguing it would not have been necessary if Australia had stronger privacy laws. 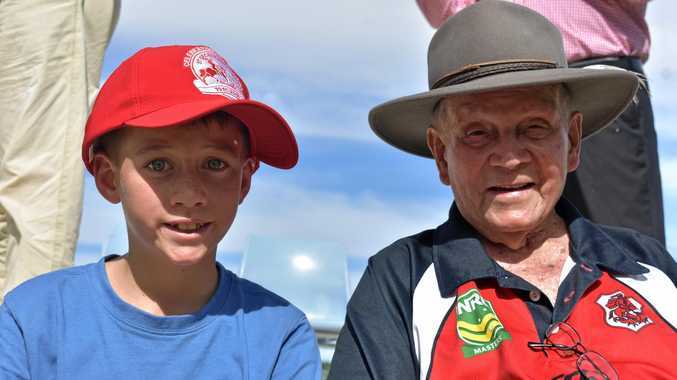 "In the last fortnight we've had drones over our house, we've had paparazzi waiting for us outside Armidale airport, we've had people following us to Uralla," Mr Joyce said on Tuesday. "We tried just burning this out and that didn't work." Sunday Night’s interview with Barnaby Joyce and Vikki Campion will air this weekend. Picture: Channel 7. In an interview with The Australian, Mr Joyce said his partner decided to accept the money because other media were already profiting from invading their privacy. "Remember there are other people in this interview, being Vikki and Seb, so if it was just an interview with me as a politician, sure, I am not going to charge for that," he told The Australian. "But that is not what they wanted. They wanted an interview obviously to get Vikki's side of the story and like most mothers she said, 'Seeing as I am being screwed over and there are drones and everything over my house in the last fortnight, paparazzi waiting for me, if everybody else is making money then [I am] going to make money out of it'." Cabinet minister Kelly O'Dwyer said most Australians are "pretty disgusted" by the paid interview. "I don't think a parliamentarian should take money for an interview. I don't think their spouse should either," Ms O'Dwyer told Sky News. Prime Minister Malcolm Turnbull said the interview was "certainly not" something he would have encouraged. 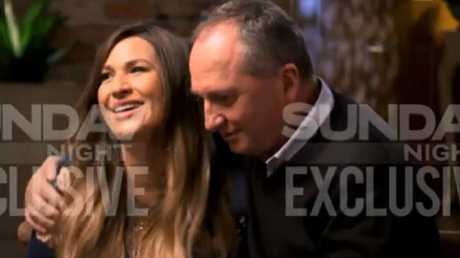 Mr Joyce was bumped to the backbench after his relationship with Ms Campion became public in February. Their son Sebastian was born on April 16. He has split from his wife Natalie, the mother of his four daughters. Is Barnaby Joyce planning to quit?